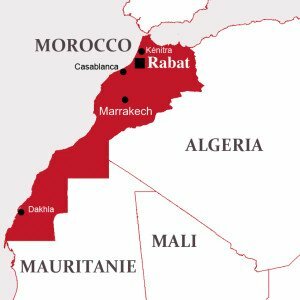 IECD is involved in Morocco since 2014 with the Seeds of Hope project. It aims to improve the vocational training offer, to recreate the link with companies, respond to their needs, enable young Moroccans to get a job and integrate socially into society and involve them in the industrial development of their country. Adress: 51, rue Moussa Bnou Noussair, Gauthier, Casablanca, Marocco. In Morocco, unemployment among young people affects about 40% of the population in rural areas and, every year, 400,000 young people drop out of school. The IECD is presents in Morocco since 2014 through the Seeds of Hope program. It is developped within three schools: the CFA in Mkansa of the region of Casablanca, the Juk Spel Institute in Kenitra and he Technical Training Center in Kenitra. Thanks to very fruitful partnerships with the Heure Joyeuse, the CFA in Mkansa obtained very positive results with 81% of professional integration for the young people six months after obtaining their diploma. Furthermore, the country forecasts that renewable energies and energy efficiency will require 50,000 jobs by 2020. The Seeds of Hope program adapts and modernizes its training more effectively to existing demand.